Also referred to as M1TR taper. 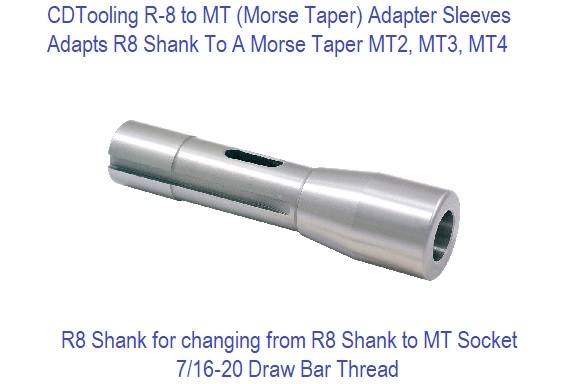 This shank is held in place by a drawbar. 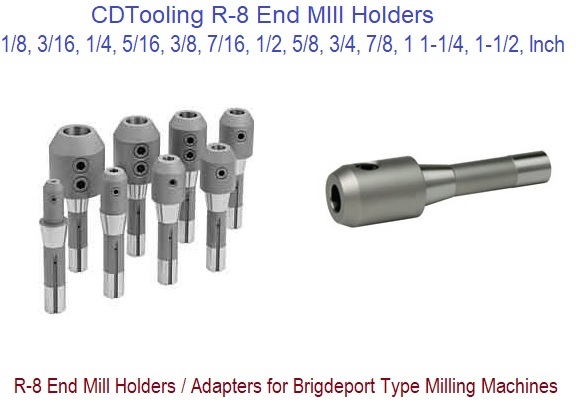 This taper was designed by Bridgeport Machines, Inc. of the USA for use in their milling machines. It is intended that collets be inserted directly into the machine taper, which is not usual with other tapers (except very occasionally with Morse). 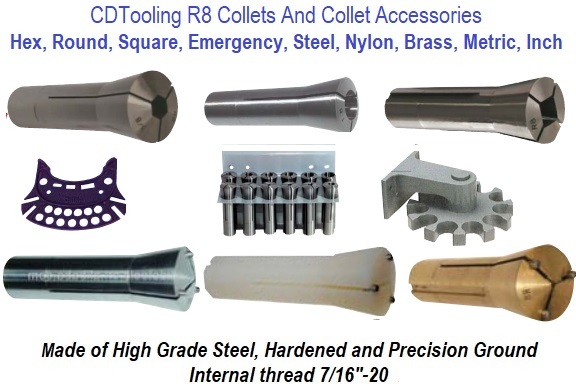 Collets must be used with a drawbar extending up through the spindle to the top of the machine to prevent the collet from falling from the spindle when lateral forces are encountered. 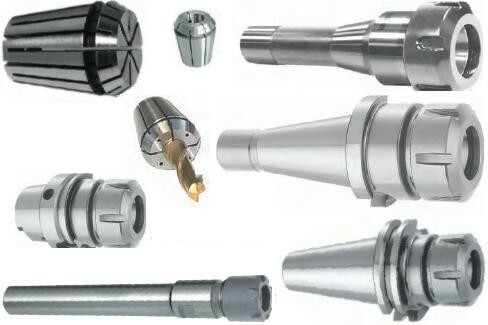 The collet has a precision hole in one end for holding a cutting tool and is threaded for a drawbar on other end. 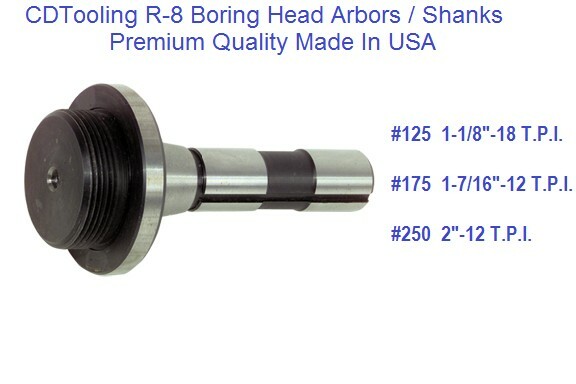 They are also keyed (see image) to prevent rotation during insertion and removal. 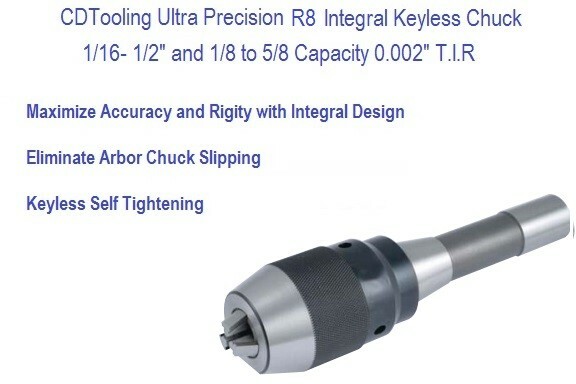 However, cutting torques are transferred through friction at the taper, not through the key. 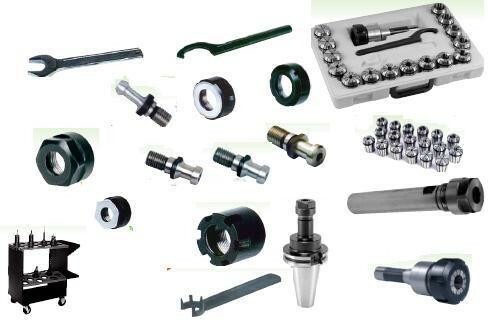 The drawbar thread is typically 7/16"-20 tpi (UNF). 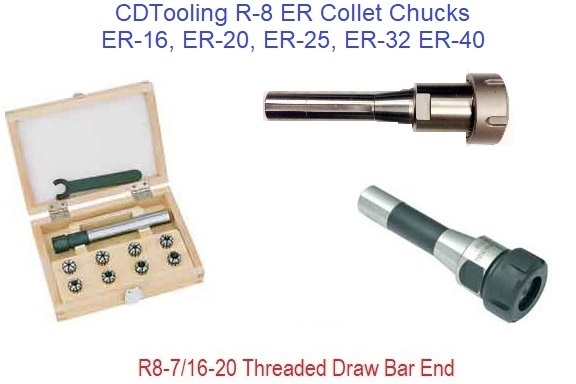 The R8 system can accept tools with a nominal 3/4" shank diameter. 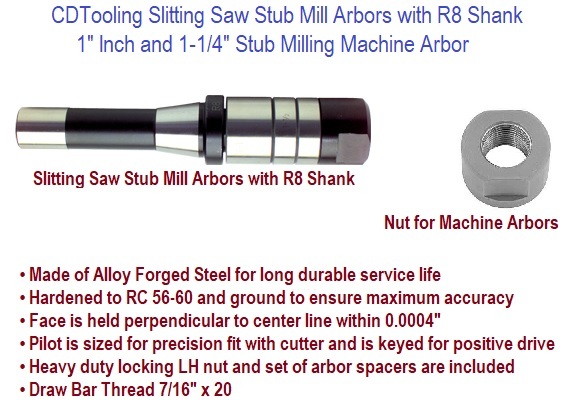 Smaller tools are generally held using a toolholder with a 3/4" shank diameter. 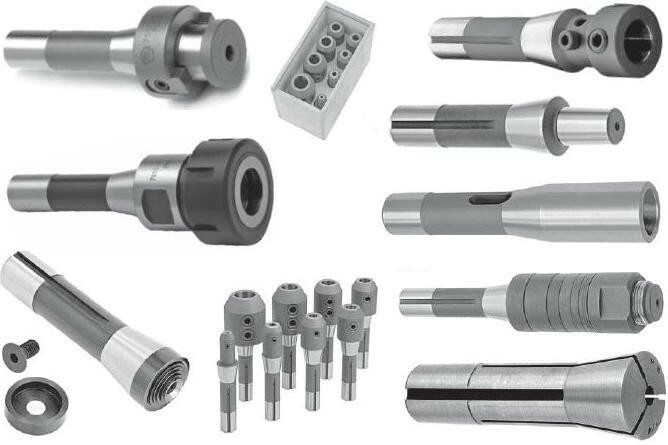 The cutting tool or toolholder is placed in the collet, the collet placed into the taper, and the drawbar is tightened into the top of the collet from above the spindle. 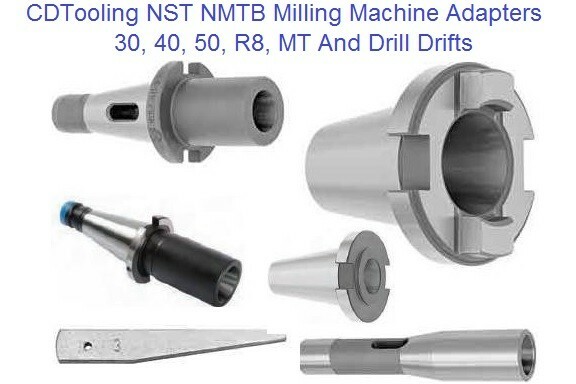 The collet has a groove to engage a key in the spindle to keep the collet from spinning inside the taper and to aid in the installation and removal of the collet. The angle of the cone is typically 16 degrees and 51 minutes (i.e. 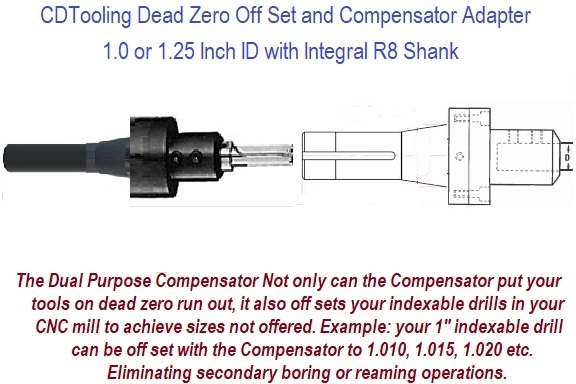 16.85 degrees) with an OD of 1.25" (source, Bridgeport Manufacturer). 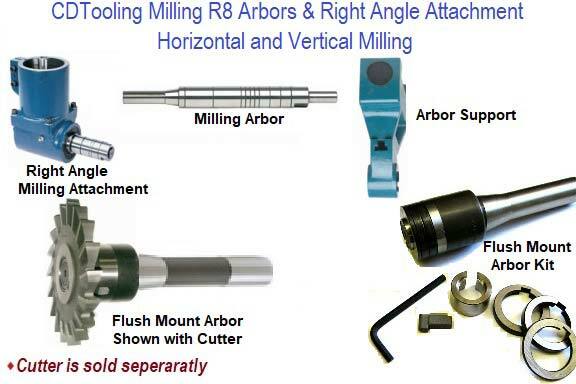 The R8 taper is commonly encountered on Bridgeport and similar turret mills from the USA, or on (very common) copies of these mills from elsewhere. 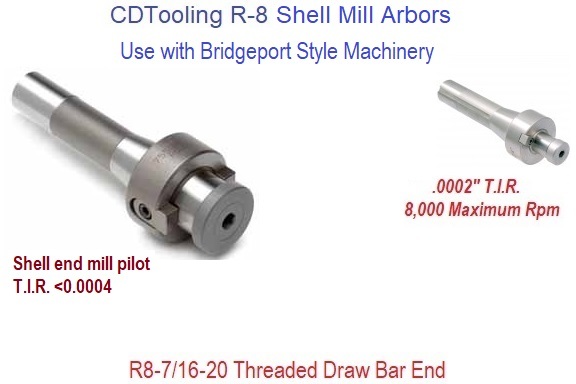 The popularity is due in large part to the success of Bridgeport and other mills that were closely modeled after it and produced throughout much of the 20th century.